Pre-register for the next session by clicking here. Understand common legal situations faced by new home builders and learn the signs on when to seek a legal expert. This Tarion-approved course covers fundamental legal issues in housing and has been adapted to the needs of new home builders. Topics include: Contract Law, Tort Law, the Construction Act, the Ontario New Homes Warranty Plan Act, and Statutory Laws. This course will help build your basic understanding of legal terms and concepts that you will regularly encounter as a new home builder. Learn what you need to know in-class with a legal professional. This course is a one day class. The course fee includes the exam, participant materials, breakfast, and lunch. Please notify us of any food allergies and/or dietary restrictions you may have. 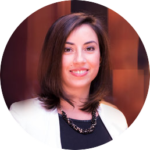 Letizia is an associate counsel at Vassos Law and focuses in the areas of Corporate-Commercial and Residential Real Estate. She provides clients legal advice in the areas of; Financing, Commercial and Residential Real Estate purchases and sales. Letizia also provides legal advice with respect to Provincial Offence and Municipal Court matters. Letizia earned a Juris Doctor Degree from Bond University Law School in Queensland, Australia. She was called to the Bar in Ontario in 2014. Additionally, she also obtained an Honors Bachelor of Science Degree from the University of Toronto. Letizia enjoys being part of several boards and committees. In 2013, she participated in the Ontario Condominium Act Review Board as a Consumer Advocate. Outside of work, Letizia has volunteered her time with the Law Society of Upper Canada’s Feed the Hungry Program. She has also been active in organizing local Charity Gala’s and Fundraisers for Children. Instructor did a wonderful job of delivering the material. She has an excellent command of the content and taught it well. Great job! Instructor was solid, really knew her stuff and was really engaging and passionate. The best I've had (outside for Michael Lio).